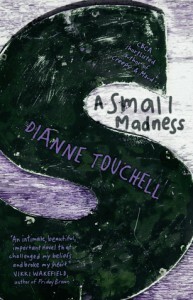 A Small Madness by Dianne Touchell begins with a fresh beginning for Rose, a teenager in her last year of high school. A new sexual experience has her feeling like a woman and she looks over herself to see how much she's changed because of it. She and her boyfriend Michael have each made plans for their own future. Her intentions are to become an actress and he is looking to become a doctor. So, when she's pregnant, she doesn't want her life to change and she refuses to believe any of the evidence. However, people around her start noticing the changes. They notice that she's not looking well, that her personality and behaviour has changed. The same can be said of Michael. Though he doesn't experience the physical changes, he becomes worried for her and finds that he has a new outlook towards his whole life. For Rose, she realises that she needs to make some choices about this pregnancy. Just a warning for some of you: it's not a happy book and a lot of people might find the content to be kind of disturbing. There is bad language and sexual references as well, just to let you know. Though I didn't necessarily like all the characters, I felt that they were all somewhat understandable. The way the book is written, you can see the motives of all the people, their feelings about each situation and many of the choices they make. I think I liked Liv the most. Though she was treated somewhat poorly in the book, I think that her motives were the most clear and natural. I think the most interesting perspective was to read about how the parents were dealing with the situation. Though they didn't know the particulars of what was wrong with their children, it was certainly good to read about the way they tried to deal with each problem- what they thought might be wrong. As for the plot, I think it was fairly interesting. The topic of teen pregnancy has so many aspects to it and the author could have gone in any direction. But, I think the way they went seemed suitable. The book had a strong structure and many of the peaks happen at important points of the pregnancy; the first missed period, the first biological changes, and other such things. Obviously it's not going to be an action packed novel, but there is still a lot of drama. Most of that revolves around the emotionality of the characters, arguments and the like. I felt like the book could have been longer, with more portions explained further; in some points it just seemed like bits were rushed through. For example, we didn't see much of how the pregnancy changed her school and drama work in a lot of portions. The same for Michael; though he experiences a lot of emotional trauma, there are a lot of bits in his life that we miss out on. There are background characters, who ought to be important, that kind of get lost. For example, Rose's father. 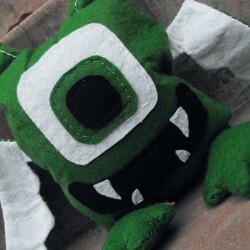 It's understandable that he's not around much, but I kind of wish that he had more of a part to play. Overall, I think it was a fairly good book. It explored a lot of interesting points about teenage pregnancy and how it changed people. The characters are interesting and the author got through many months of the book in an interesting manner, with little back stories and things that made each character quite unique. However, the long time span in a short amount of words didn't necessarily work the whole time; many portions could have been explained more. It was a pretty good read and, though it was somewhat sad, I think it's the type of book that really makes you think. I was asked to do a review of the book for a family friend and was loaned a copy.